What is an in-home display? How do I use an OVO in-home display? Not only that, but you can benefit from the in-home display that allows you to track all of this yourself, which many customers state is empowering. Let’s take a closer look at smart meters and the in-home display. Like the traditional electricity and gas meters, a smart meter will measure how much energy you are using. The main difference between the older generation of meter and a smart meter is that the smart meter does it automatically and sends that information to your energy supplier, meaning an end to estimated billing. They do this by utilising mobile networks, to wirelessly send your actual energy usage to your energy company. You will be shown how much energy you are using in real time, which can be helpful regarding cutting your costs by understanding your energy usage. This puts you in control of your energy, allowing you to budget for your bill and ultimately learn how to reduce your use. An in-home display is a smaller electronic device that is connected to your smart meter and gives you all kinds of data about your energy. Using the fancy touch screen, customers can keep up to date with how much energy they are using. You can track your current usage in real time, how much it costs you and how much carbon dioxide you’re using. This can be handy for saving money, as you can see exactly where your energy is going, what time of day is the most expensive which can help you make educated decisions. Like making sure you turn all of your lights off or turning your temperature down by even 1 degree which can save a lot in the long run. Did you know that you can set warnings to tell you when you’re about to use too much energy? If you have a smart meter and in-home display from OVO, this is how you can use it. Let’s take a closer look at how you can operate it, which could help with ones from other energy companies too. Now that your IHD and smart meters are linked, you can turn it on. You will see a range of different icons that signify different information. You can tap these buttons to take you to this information. If you are a dual fuel customer, press the button to show you how much energy you’re using right now. Your electricity is signified by a lightning bolt. Your gas is signified by a little flame icon. Tapping on the ‘History’ button tells you the energy you have used. This is usually daily, weekly or monthly. According to reports, you won’t pay directly, but it will be taken out of your energy bill in the short term. It is estimated to cost each home £125. Is it mandatory to have a smart meter? No, but you will be offered one by your supplier. Yes, by understanding your energy usage, you can start making changes to your energy usage which can save you money. Do I need Wifi to have a smart meter? No, smart meters use their wireless network using radio waves, like your mobile phone or the internet. 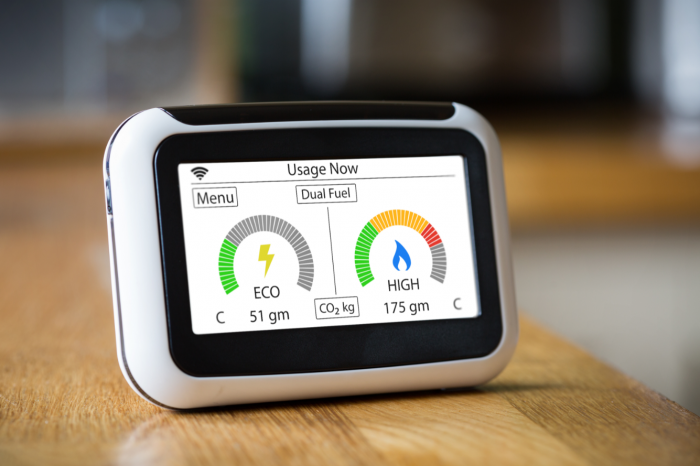 Your supplier is obligated to offer you a smart meter up until 2020, but whether you accept the offer is entirely up to you. Can I have a smart meter if I am a prepayment meter? Yes, you can have a smart meter regardless of whether you are a prepayment meter or credit customer. Will I be pressured into buying something else during installation? No. Ofgem, the industry regulator, has imposed strict rules so engineers can’t try and upsell you when they come to install your meter.